Contest:Wine and Cheese Show,March 16th-18th. 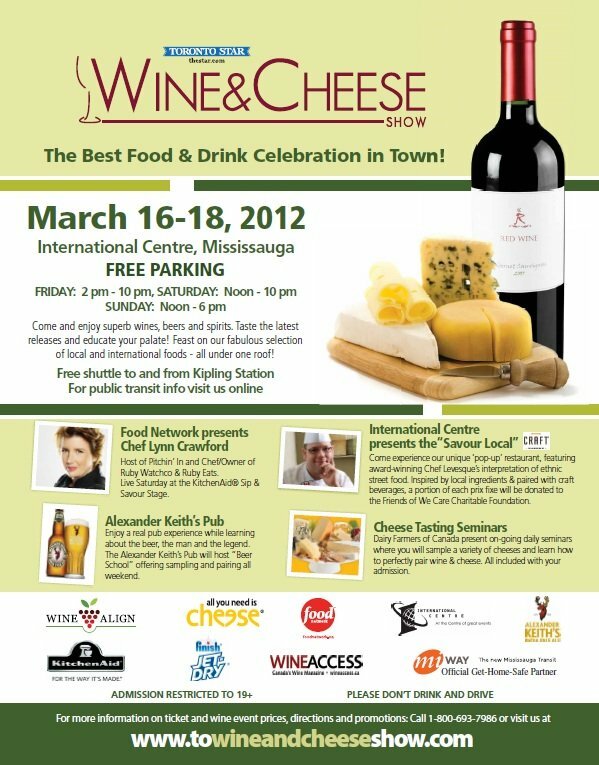 Win one of 10 pairs of tickets to the upcoming Wine and Cheese Show www.TOwineandcheeseshow.com March 16th-18th, International Centre, Mississauga. Valued at $36.00 per pair! This three-day event features a tasty selection of gourmet foods, award-winning wines, beers, spirits and vintages, and interactive and informative seminars! Wine and Cheese Show March 16-18th at the International Centre, the ultimate food and drink experience. Buy tickets to the show online http://www.towineandcheese.com/tickets and save $3.00 per ticket. So, how can you win these fabulous Tickets? #TheWineLadiesWineandCheeseTicketsContest commenting on the Wine and Cheese Show. Below are examples that you can use and modify as you see fit. 3. Each time you tweet (or re-tweet our Tweets) using the hash tag #TheWineLadiesWineandCheeseTicketsContest, your name will be entered into our draw for a chance to win one of 10 pairs of tickets tothe Wine and Cheese Show . March 16th-18th, 2012 at the International Center, Mississauga. https://www.thewineladies.com/wp-content/uploads/2012/02/winecheese logo.jpg 232 1000 Susanne Seelig-Mense https://www.thewineladies.com/wp-content/uploads/2017/08/WineLadiesLogoTransparent.png Susanne Seelig-Mense2012-02-28 17:32:332012-02-28 17:32:33Contest:Wine and Cheese Show,March 16th-18th. Attention Brides to be, mothers, future mothers in-law, and future grooms too. Win one of 250 pairs of tickets to the upcoming Toronto’s Bridal Show www.TorontosBridalShow.com April 20-22nd . Valued at $30.00 per pair. How can you win these fabulous Tickets? 1. Everyone can get two free tickets. Just enter your Name and Email below and you will get your 2 Free Tickets. You will also be entered to win 1 of 3 Early Wedding Gifts from The Wine Ladies. and you could win one of 3 Early Wedding Gifts from The Wine Ladies (see below for all the details). Compliments of The Wine Ladies, you can win 1 pair of Tickets to the Toronto Bridal Show. So, how do you win the Early Wedding gifts? Don’t worry.. if you fill out the Form below you are automatically entered to the draw. However, the more you Tweet and Post the better your chances are to win our one of 3 Early Wedding Prizes. Three winners will be picked at random from all the tweets, postings and Form submissions received from February 27th until Monday, March 5th at 12:00 Noon EST. 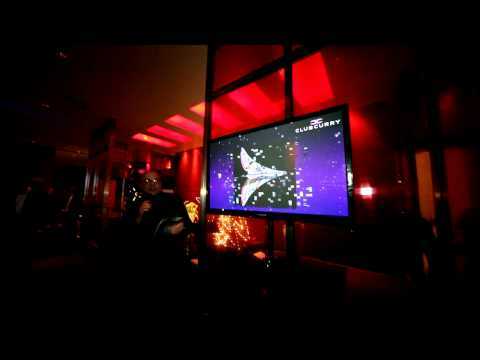 The more you enter, tweet and post, the better the chances! Wine Bottle Shoe Holder and matching wine stopper. Wine and shoes, a girl can never have enough…..bringing two of our favourites together. This is truly the perfect gift. 4 Variety Gift Set BRIX, the leader in premium chocolate for wine. The easy-to-use Champagne opener will provide the perfect experience to uncorking champagne corks. Rubber perforations through the handle assure a positive non-slip grip. Sleek, elegant, and SAFE. The Toronto’s Bridal Show www.TorontosBridalShow.comis where you want to be! With over 150 wedding professionals offering special promotions only at the show!